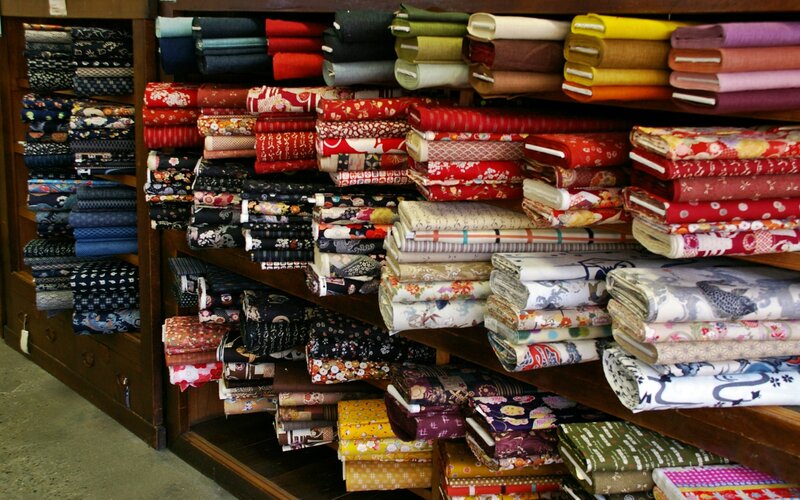 We import a huge range of Japanese Fabric that includes Patchwork fabric, Furoshiki (gift-wrapping cloths). Panels, Vintage Fabric (Indigo-dyed). Noren and Vintage Kimono Bundles. Our huge range includes, at last count, 226 cotton fabrics all suitable for patchwork (all on the website) plus three large baskets overflowing with Kimono and Obi fabric pieces and rolls. We do not stock “Japanese Fabric” that is not designed and made in Japan as they are not authentic and do not have the same texture as true Japanese Fabrics.